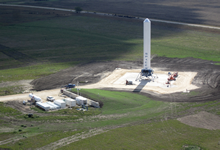 The recently announced intentions of SpaceX about recycled rockets brought a lot of excitement to the space industry. Besides the challenges, if the plan is successful, the recycling of rockets can reduce significantly the costs, driving space exploration into a new era where such an advanced and efficient technology will make space an affordable venture. If one can figure out how to effectively reuse rockets just like airplanes, the cost of access to space will be reduced by as much as a factor of a hundred. A fully reusable vehicle has never been done before. That really is the fundamental breakthrough needed to revolutionize access to space. Join us at the International Space Commerce 2013 Summit that will take place at the Radisson Blu Edwardian Bloomsbury St. Hotel in London on October 29th-30th to hear the Senior Vice President of Commercial Sales & Business Development at SpaceX, Barry Matsumori delivering a presentation about the future of commercial space transportation. The speaker faculty of ISC2013 Summit will consist of public bodies from all over the world like NASA, ESA, CNSA and private bodies like XCOR, SpaceX and Astrium who will gather to discuss the way forward for commercial activity in space. The agenda will revolve around short-term ROI from space satellites and technology, as well as long-term ROI from venturing into the world of human spaceflight. It will connect public and private bodies with specific companies that will contribute their innovations and technological ideas for the space exploration, infrastructure and technology advancement. In this way, the ISC2013 will be the platform for the global key players to make “the future we were promised as kids” happen.